The island country comes again to the leading Moscow tourism fair, ready to show to industry professionals and public the marvels that await the visitor in this enchanted land of golden beaches, rising waves, misty mountain, fascinating fauna and flora and the warms smiles of their people. OTDYKH Leisure 24th edition is proud to confirm that will count again with the enchanted presence of Sri Lanka. This Island country has so many natural, historical, cultural and patrimonial values to offer the visitor that the attendants of the exhibition will not have time to taste all of them. 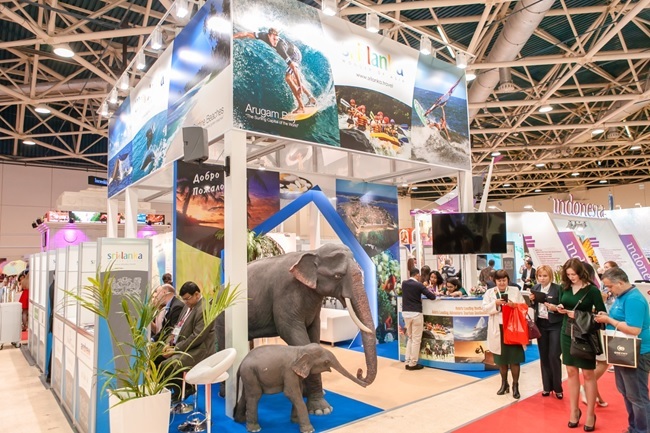 Along with the marvels of the country, the stand of the Sri Lanka Tourist Promotion Bureau will present this year (until this date) fourteen tourist companies, from travel and hotels to luxury resorts, and more could be added before end of the inscription date. Set in the Indian Ocean in South Asia, Sri Lanka has a history dating back to the birth of time. It is a place where the original soul of Buddhism still flourishes and where nature’s beauty remains abundant and unspoiled. Few places in the world can offer the traveller such a remarkable combination of stunning landscapes, pristine beaches, captivating cultural heritage and unique experiences within such a compact location. Within a mere area of 65,610 km2 lie 8 UNESCO World Heritage Sites; 1,330 kilometres of coastline — much of it pristine beach — 15 National Parks showcasing an abundance of wildlife, nearly 500,000 acres of lush tea estates (producers of the famous Ceylan Tea), 250 acres of botanical gardens, 350 waterfalls, 25,000 water bodies and much more. An island of magical proportions, once known as Serendib, Taprobane, the Pearl of the Indian Ocean, and Ceylan. If golden beaches, rising waves, misty mountains, mighty elephants, stealthy leopards, giant whales, a majestic past, lovely tea and warm smiles could sum up a country, that would be Sri Lanka. With many sites and scenes bottled up in to a small island, a traveler could be riding the waves in the dawn and admiring the green carpeted mountains by dusk. Sri Lanka provide an array of holiday experiences from sun kissed beach holidays to a marathon of wildlife watching, adrenaline pumping adventure sports and pilgrimage to some of the oldest cities in the world. 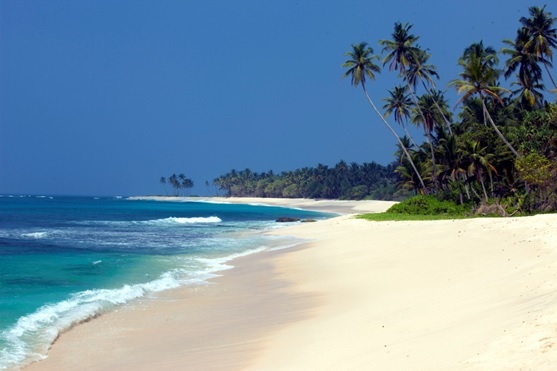 Nearly 1600 km of palm fringed coastline made Sri Lanka the ideal destination for beach lovers. Windsurfing, kayaking, yachting, water skiing, scuba diving or just lazing for the perfect tan, Sri Lanka offers it all. The two monsoon winds providing rain to the two corners of the country at various periods, makes Sri Lanka’s beach holiday a year round prospect. The north east winds make the south western coast sunny and the sea calm from November to March. The South West winds make the East Coast waters quiet with the constant sun shine happily in agreement. The best Southern beaches include Tangalla, Beruwala, Mirissa, Bentota and Unawatuna with options including chic boutique hotels, glowing coral reefs, gentle sandbars and undiscovered corners of paradise. Man made reservoirs expanding along the horizon, stupas that reached the sky and functioned as data transmitters, palaces atop rocks adorned with intricate sculpture, water gardens, futuristic landscaping technologies and star gates are just few of the engineering feasts of the ancient Sri Lankans. Enriched with Buddhism brought from India nearly three thousand years ago Sri Lankan engineers and artisans created some of the most breath-taking structures in the old world. Built with bricks and carved with stones; these creations found in the ancient cities of Sri Lanka continues to amaze the world. With a recorded history of nearly 2500 years and an unrecorded history of at least another 2500 years, Sri Lanka is home to many legends including of Kings who rules over universe, dagger nailed people, believed to be a sub species of humans and technological advancement that seems to be equal to divine intervention. Certain researchers even speculate that some of these structures could be built by extraterrestrial beings! Sigiriya mountain seems like a landing platform from air. A creation of genius master builders or a testimony of extra-terrestrial intervention? An American TV production team explored the site and questions the long lost mysteries of an ancient marvel. Speculations apart, the truth is that with so many tales of Kings who constructed mega structures involving technologies sometimes beyond our comprehension, extinct species so exotic that it fuelled up the imagination of generations and wars fought with such might that they found their way to religious mythology of neighbor countries, Sri Lanka’s folklore is a treasure trove to the curious. As for the Russian visitors, according with TOB, the flight program for 2018 is by Emirates, Quatar, Fly Dubai and Turkish airways airlines. Also, charter flights operated by tour operators. Target arrivals for 2018 is 70,103 visitors, a growth rate of 15.5%. Despite its small size Sri Lanka is a global leader in many a fields and is had been known worldwide for its choice gems and cinnamon since the turn of the last century. Today, the country produces the world cinnamon and is one of the world’s top cinnamon exporters. The jewelry world knew Sri Lanka for its beautiful and valuable gemstones. ‘Rathnadeepa’ or the ‘land of gems’ was used as a synonym for the country and even today the Sri Lankan gems specially the Ceylon blue sapphires are celebrated worldwide for their distinctive color and luster. Yet it is the Ceylon tea, which the world identifies the country by. 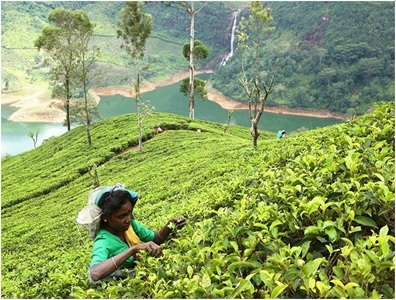 Introduced in the 19th century by Colonial British, Sri Lanka is recognized by many consumers for producing the world’s best tea. Ceylon Tea made in Sri Lanka still continues to be the favorite of the tea lovers worldwide. Meanwhile the country’s position as global leader in producing quality garment products for leading brands in Asia, Europe and the USA, is making the term ‘made in Sri Lanka’ a statement of quality. Sri Lankan apparels re-launched as ‘Garments without Guilt’ is guided by principles of protecting workers rights, proving quality working environments and upholding equal opportunities beyond gender and disability. Garment producers thrives to protect the environment while doing away with discrimination and the stringent labor laws and children rights Sri Lanka ensures that no children as involved in producing the garments. The country is also in the forefront as a IT hub in the South Asian region, only surpassed by India. Sri Lanka’s position as a rising software exporter had been established by the great achievements of local companies in the global arena. Their recent achievements include the development of world class capital market solution and development of medical invoice system, widely used in many parts of the USA and Europe. United Nations Conference on Trade and Development’s (UNCTAD) Information Economy Report for 2012 listed Sri Lanka s country that has a software industry with a high export market penetration. The industry is predicted to reach a revenue value of US$ 2 billion by the year 2020. By the way, nearly 270 scientists from Sri Lanka are working today at NASA, establishing the name of their country in the firmament of the space frontier. Last but not least, Sri Lanka is the Land of the Ayurveda, one of the world’s oldest forms of healing, Ayurveda — derived from the Sanskrit words for life (ayuh) and knowledge or science (veda) — originated in India more than 3,000 years ago and soon spread to Sri Lanka, where Sinhalese kings established Ayurveda treatment centers in the ancient cities of Anuradhapura and Polonnaruwa. The combination of herbs, diet, massage, hydrotherapy and oil treatment is used to treat everything from stress to diabetes, migraine, asthma, arthritis and high blood pressure. Ayurveda specialists will tell you that this form of treatment also helps boost the immune system, promotes a general sense of well-being and even helps delay the ageing process. With many in the West turning from medicine which treats only the body, towards a more holistic approach, Sri Lanka has become destination for those seeking solace in the Ayurvedic principle of body, mind and soul. In addition to a range of treatments, Ayurvedic resorts offer yoga, meditation and lectures and the chance to learn how to cook food according to Ayurvedic principles, as well as excursions to nearby places of interest. Summarizing the Sri Lanka tourism industry, as said by the Tourism Promotion Bureau, there are three facts that made the country and increasingly popular destination: Authenticity, Compactness and Diversity. Authenticity is the new wave of tourism in Sri Lanka with a strong focus in providing unique concepts through experiences and what we call “emotion” to our clients. The intention is to go beyond typical tourist movements and introduce concepts relating to local lifestyles, elements of our culture, engagement with local people. It is a place one could experience more natural resources rather than the man made. Compactness — With only 65,610sqkm land mass, the entire island of Sri Lanka can be explored within a few days. Even the longest distance across the country can be covered within a few hours and if you are flying within one hour. Even a busy traveler can see most parts of the country within a short period of time due to this second advantage which is being compact. Diversity, the third and the biggest advantage is the unparalleled diversity of our tourism product. Sri Lanka is one of the most popular tourist destinations in the region, as it contains mixture of golden beaches, rare unique natural wildlife, breath-taking landscapes and a rich cultural heritage. Despite its relatively small size, Sri Lanka possesses a high level of bio-diversity due to its wide range of geographic and climatic variations. 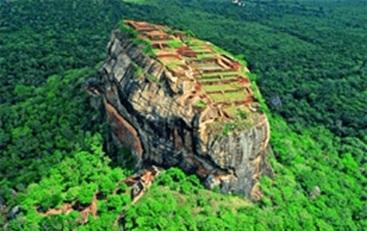 Sri Lanka, the natures treasure chest is the home to one of the oldest civilizations in the world. Its written history exceeds 2550 years. Its pre-history consist of planned cities, magnificent palaces, and expansive man made reservoirs, stunning temples and monasteries, green gardens, hard to believe monuments and works of art are characteristic of the rich and jubilant lives the celebrated monarchy of Sri Lanka lived. And is one of the most delightful countries in the world to visit. Winner of the World Travel Awards 2017 as Asia’s best destination. Photos: Leisure Fair and Sri Lanka Tourism Promotion Bureau.